2019 Akamai Internship Application is now closed. Thank you to all that applied. Stay tuned for your participation notices. Stacey Suoeka from Kauai, Brialyn Onodera from Hawaii Island, Chriselle Galapon from Maui and Mary Liang from Oahu, all Akamai alums, now work as engineers for DKIST, and are seen here at the summit of Haleakala. Hawai‘i telescopes are a vital resource for learning about the universe, our own climate, and satellites orbiting Earth. Telescope facilities bring rewarding jobs to Hawai‘i, and communities that host telescopes should benefit from those jobs. However, up to 40% of people hired come from outside Hawai‘i and leave at twice the rate as those hired locally. 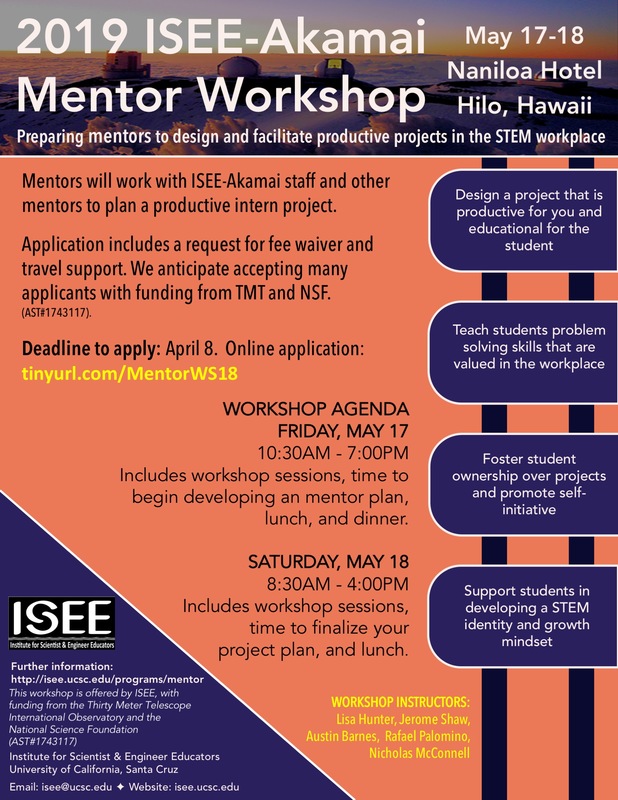 Building a local workforce in Hawai‘i is essential, and relies on addressing college degree completion: nationally, and in Hawai‘i, less than 4 of 10 students pursuing science and technology degrees finish them. Akamai provides valuable training opportunities and addresses degree completion through internships and mentoring. Here is what we have accomplished. 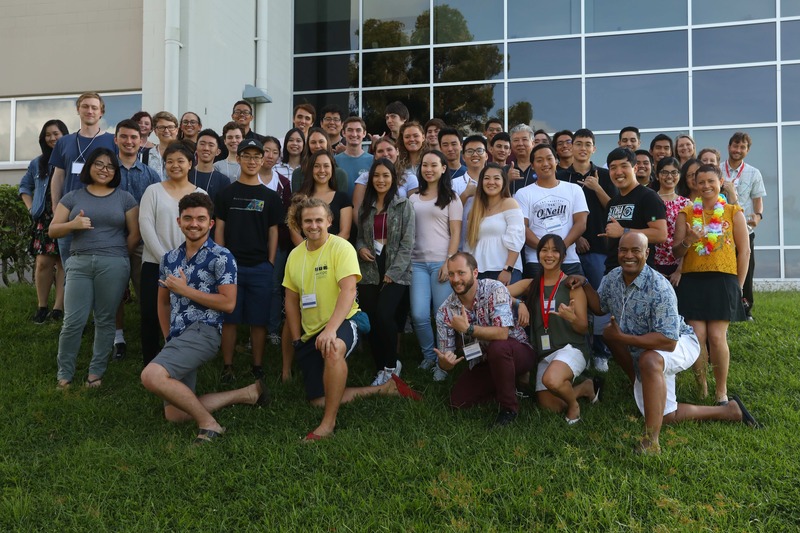 356 college students from Hawai‘i have done internships at telescopes and tech companies since 2003. 87% of alumni are still in science and engineering. Over 100 alumni have already obtained science and engineering jobs in Hawai‘i. Akamai has partnered with telescopes since 2001 and is funded through multiple sources. Akamai’s major funder is the Thirty Meter Telescope (TMT) International Observatory.